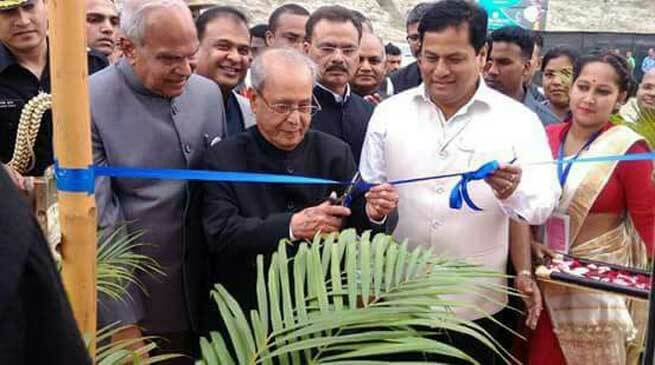 The President of India, Mr Pranab Mukherjee inaugurated the ‘Namami Brahmaputra’ festival in Guwahati, on Friday. Referring to the diverse and distinctive culture of Assam, the President said India’s strength was its ability to manage diversity and forge unity in divergence. During his inaugural speech, the President said Assam is emerging as an economic hub of East India and South East Asia. It is the gateway and most effective location to put into effect the Prime Minister’s Act East policy. He said South East Asia is an important destination for India’s investment and trade. India will soon celebrate 25 years of its association with ASEAN. Referring to the diverse and distinctive culture of Assam, the President said India’s strength was its ability to manage diversity and forge unity in divergence. It was not just the elites but also the common people who were firmly committed to trust, mutual understanding and harmony. He said Indians were argumentative but never intolerant. Our traditions, including the teachings of Assam’s great scholar and social reformer Shankaradev never allowed the practice of intolerance. The President said Brahmaputra River is the lifeline of Assam and the region. It is intertwined into the economy, culture and day-to-day life of the people of the area through which it flows. He complimented the State Government for having started ‘Namami Brahmaputra’ as an annual festival to showcase Assam’s culture as well as potential.